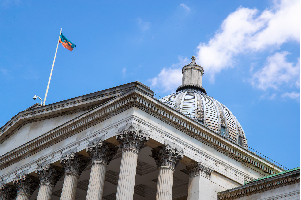 Axis Security, a UK-based provider of security services, has won a significant contract to provide manned guarding services for University College London’s (UCL) entire estate. Some 200 security officers will protect the University’s main campus in Bloomsbury, as well as additional buildings and departments across central London. Staff will be transferred to Axis employment via TUPE. Both traditional security functions, including patrolling, emergency response, key holding, gate house and control room duties, and front-of-house reception duties are incorporated into the contract. In what was a competitive tender, Axis Security was chosen partly on the basis of its training capability, staff welfare and technological innovations. Mark added: “We saw this tender process as an opportunity to look for a fresh approach. It was clear that Axis will prioritise officers’ training, development and welfare. I believe if you look after staff, they will in turn protect the people in their care better.